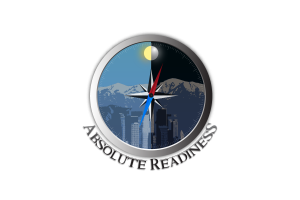 The intent of AbsoluteReadiness is to share skills, knowledge and experience that will help you to be effectively prepared for any situation that you may find yourselves in. Whether it is a natural or man made disaster, violent criminal act or job loss; being prepared to deal with whatever life throws at us is the key to surviving these situations. I’m Dan Higginbotham. For simplicity, “Higgy” that’s how I’m known to my friends and my Brothers. I’m a former U.S. Marine (not some high speed, low drag “Operator”. Just your average Marine), an avid Outdoorsman, a martial artist and apparently a “Prepper”. I started this site to share my perspective on how to be ready for the curve balls that life throws at us. I am NOT politically correct, I can be very direct and may occasionally offend some folks. It is never my intent to hurt anyone’s feelings, but in real life that will happen from time to time. If you can’t deal with that, then you may want to check out some of my recommended sites and get your information there. While I have received military training, I learned most of my survival/ readiness skills from my Grandfather and my Father. Long before I ever heard the terms “prepper” or “survivalist” these men taught me to be self reliant; as well as mentally and physically prepared for whatever may come my way. Without the lessons they taught me over the years I doubt I would have made it through the tough times in my life. I am eternally grateful for everything they passed on to me. I’m aware that not everyone is as fortunate as I am to have men like them in their lives, so I will do my best to share the knowledge they gave me with others. I am also VERY proud to be an American. I owe a great debt to the men that founded this country and to the the veterans before me, with me and after me that selflessly risk life and limb to preserve our republic. That being said, I have no use for most politicians (of either party) and wouldn’t piss on them if they were on fire. My points of view are based on my own experiences unless otherwise noted. I hope you enjoy, learn and share! Hi Ziggy, I’m a Vietnam Era Vertern 72-75 and a proud American. Soon to be 63. Ex police officer. I’m a mini prepper. I have enough food for 6 months, protection, and water availability. I believe the economic crash is coming again this year and it will be bad. I want to get some silver coins(not for investment) and have to barter, buy, etc. when the paper is no good. I’m trying to get some advice. I’m in Tennessee. I was thinking about getting some silver eagles and other silver coins. What are your thoughts on this? When something happens, will it be great to have silver to use or will it or gold be worthless also. I’m not interested in gold; can’t afford it anyway. Would it be worth it to get a couple thousand in silver? I would appreciate your thoughts. Or refer me to another prepper that has expert advice on what I should do. Thanks for your service Sir. My father is also a retired police officer close to your age. The job sure has changed, huh? Well thank you for your service, both military and civilian, some of us still appreciate what it takes to serve the community in that way and know the sacrifices that a person makes everyday when they pin that badge on their chest. Was just in Tennessee last night (Mississippi now), beautiful place! Good luck and thank you for visiting my site!